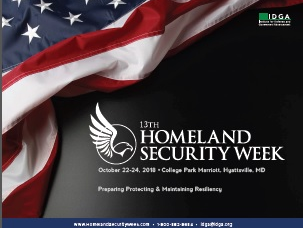 The 13th Annual Homeland Security Week is proud to announce that it is returning this October 22-24, 2018 in Washington, D.C.. Bringing together top homeland security leaders from government, industry and academia alike we will explore current challenges and future requirements necessary for government agencies responsible for U.S. homeland security. Download the Event Guide today to see what we have in store for you for 2018.